RT’s Caleb Maupin reports on criticism that Trump associate Roger Stone was inappropriately arrested in front of news cameras, which calls into question possible collusion with the media. Did the FBI want the optics of arresting a Trump associate on Russiagate, despite no mention of Russia in a 24-page indictment of Roger Stone? Investigative journalist Ben Swann talks about that with RT America’s Manila Chan. New York City will pay more than $3 million to the family of Kalief Browder, a man who committed suicide over being imprisoned for three years as a teenager without ever being convicted, RT America’s Trinity Chavez reports. RT’s Anastasia Churkina is at the Davos World Economic Forum, where billionaire George Soros called Chinese President Xi Jinping the most dangerous person for open societies. 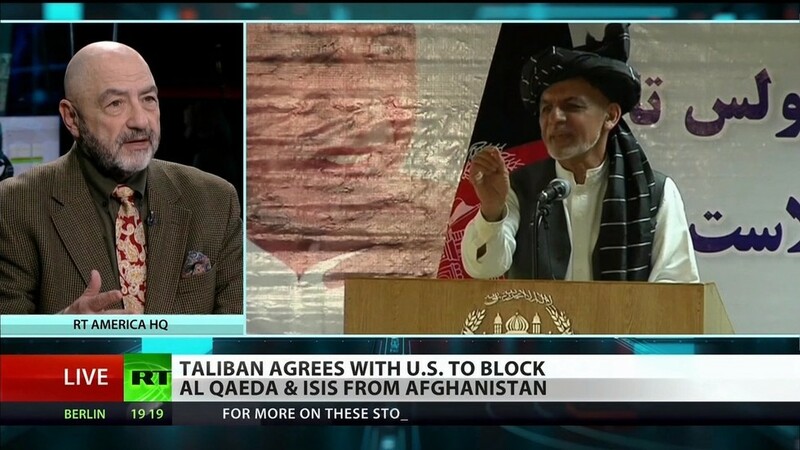 Former Pentagon official Michael Maloof explains to RT America’s Manila Chan that a US meeting in Doha with the Taliban means the United States may exit, but that withdrawal would prompt the immediate fall of Afghanistan’s government. Ultima Thule, the furthest object from Earth ever photographed, now looks like a “lumpy snowman,” based on the latest images.